Dearborn-based Carhartt plans to lease a three-story building at 5800 Cass Ave. in Detroit’s Midtown area. 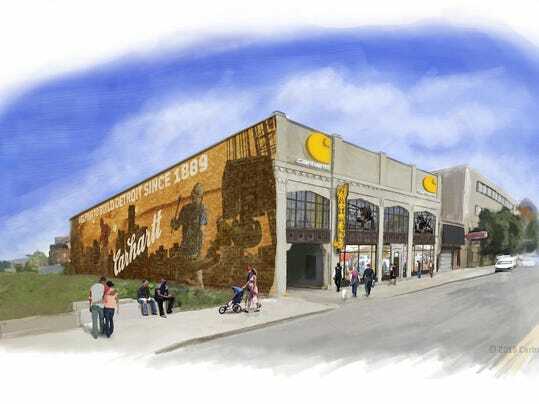 Tom Walsh of the Detroit Free Press reports Dearborn-based Carhartt will announce plans today to lease a three-story building at 5800 Cass Ave. in Detroit's Midtown area, just south of the I-94 freeway, which will house the flagship retail store and an attached parking garage with 75 spaces..
Plans call for the store to open in late May or early June. Carhartt, the 126-year-old Michigan maker of rugged jeans, jackets and work apparel , has more than a dozen retail stores worldwide.